Hello, warriors of Priston Tale 2! 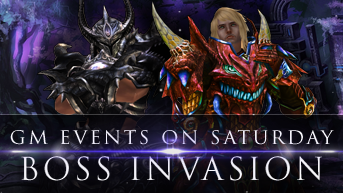 Tomorrow, Saturday 6th, the GMs Zweihänder and GMFenix will be online starting at 18:00 GMT for "BOSS Invasion" events. The exact location will be informed at the time of the event. We'll be waiting for you, do not miss!! !